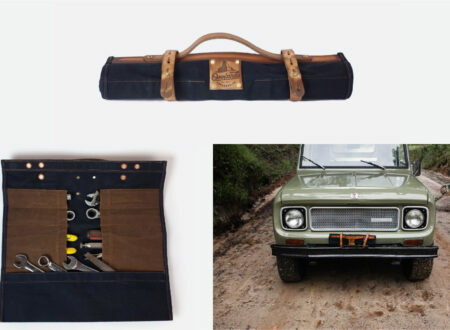 The Emory family have been a major influence on the American custom scene since just after WWII, when Grandpa Neil Emory co-founded the Valley Custom Shop in 1948. 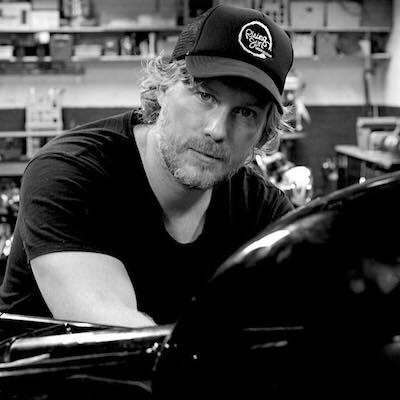 Neil had a major impact on the rapidly evolving DNA of the American hot rod through the ’50s and into the ’60s. 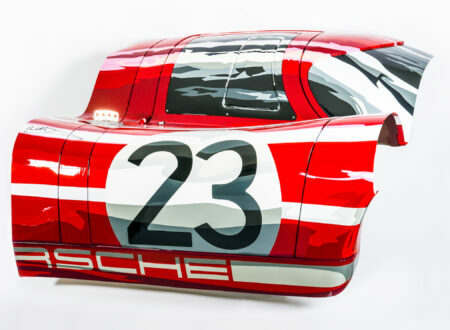 In 1962 was brought in by a VW and Porsche dealership in Newport Beach as the head bodywork honcho. His son Gary joined his father once he graduated high-school, and the two men quickly became leading lights in North America’s burgeoning Porsche community. Grandson Rod came into the world in 1974 and spent much of his childhood working with his father and grandfather on the finest vintage steel to ever roll out of Stuttgart. 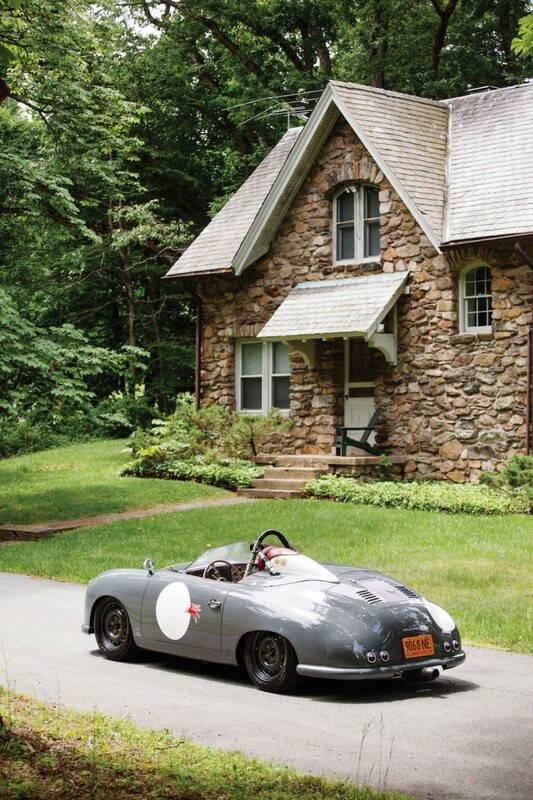 Thanks in part to the early hot rod life of Neil and the healthy dose of hereticsm present in the hearts of most Americans, the three Emorys began creating Porsche 356 customs that made the purists wince twice – once when they saw the non-factory customisations applied to the cars, and once more when they realised how much faster and better handling the new Emory Porsches were than their own stock models. By the 1980s the Emory creations had become known as Outlaws, at Porsche Concours d’Elegance events they were relegated to parking lots but in spite of this insult, or perhaps because of it, the men continued their work and quickly built a worldwide movement around non-purist performance modifications to Porsche 356, the 912 and the 911. 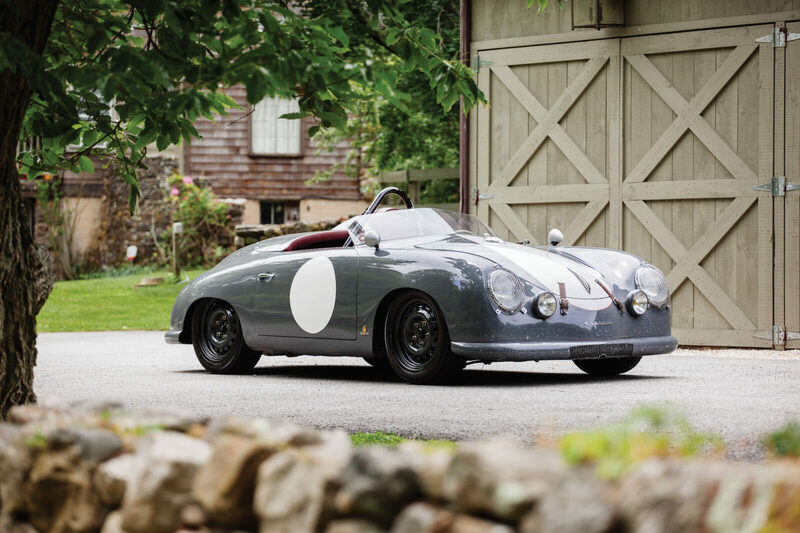 By 2015 the Outlaws built by the Emory family are now typically worth far more than their respective donor cars – and the prestigious 356 Registry have introduced an official “Outlaw” class in their Concours d’Elegance, possibly the ultimate vindication. 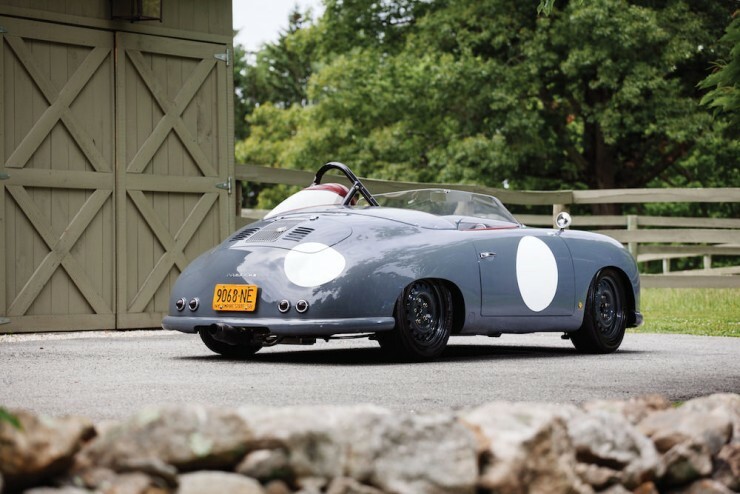 The Porsche 356 Emory Outlaw you see here started life as a 1954 Pre-A model, it was pulled apart and the conversion to the sacrilegious ranks of Porsche Outlaw royalty began. The full story of the car’s new specification is below the images – for those of you who’d like a little light reading. 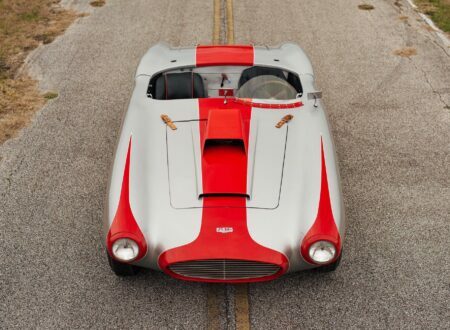 It’s estimated that it’s going to sell for between $225,000 and $275,000 USD – which is actually not bad for an original Emory Outlaw. If you’d like to see more or register to bid you can click here. 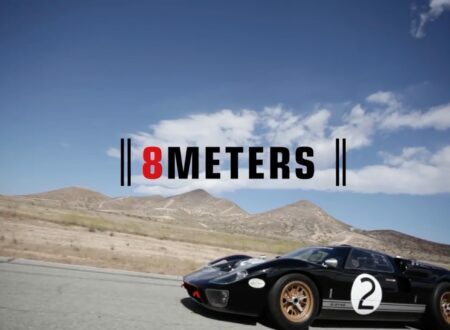 Built in the 1990s with no-expense-spared, this incredible purpose-built, race ready Porsche can also easily be converted for street use, if that should be your preference. 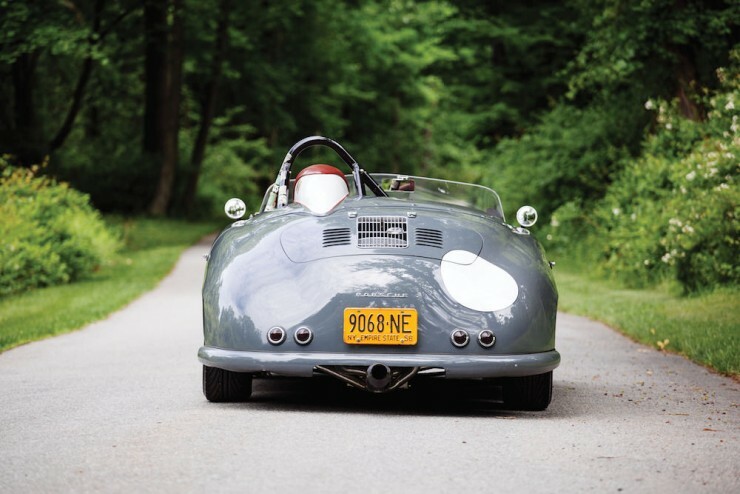 The 1954 Porsche Pre-A Cabriolet has been converted into a car that appears much more “Speedster-like” and has had professional attention paid to the body, front and rear suspension systems, brake system, fuel system, oil system, electrical system, engine, transaxle and clutch to thoroughly create a platform that has countless attributes built-in. The engine has been built with performance at the forefront, as it is balanced and blueprinted. 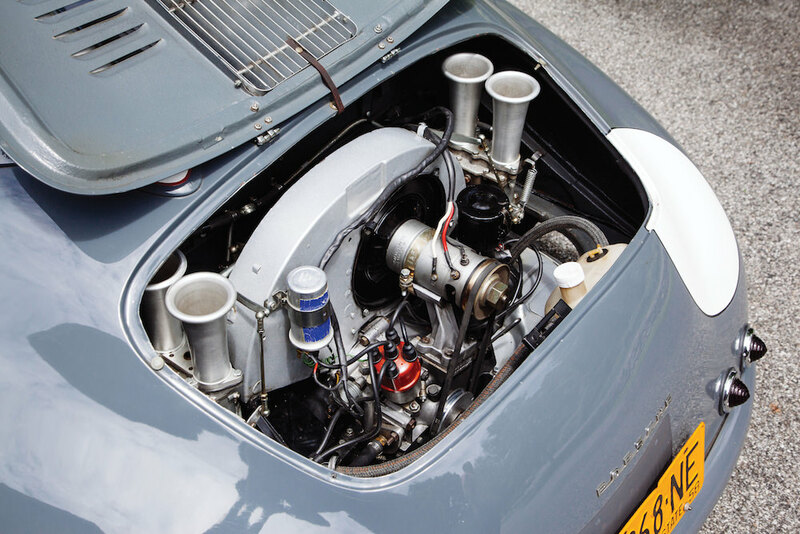 It is reported as being a 912 unit with case type 616/36 with a late 356B crankshaft, 912 connecting rods, Willhoit lightened flywheel, special chromoly pushrods and much more. 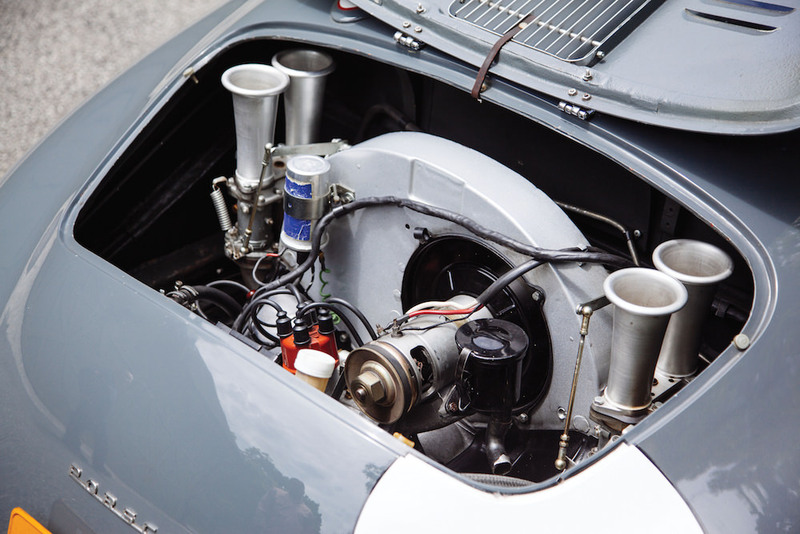 This horizontally-opposed four-cylinder powerplant is matched to a type 741 transaxle with twin front mounts, solid fabricated rear mounts, a gear cluster modified by Vic Skirmants and a 7.31:1 ring-and-pinion ratio. 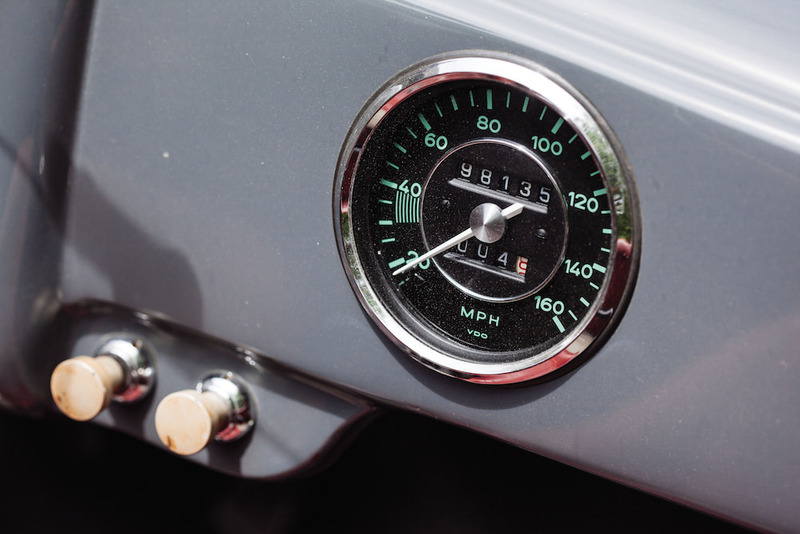 The electrical system is 12-volt to operate the fuel pump, ignition, gauges and brake lights. 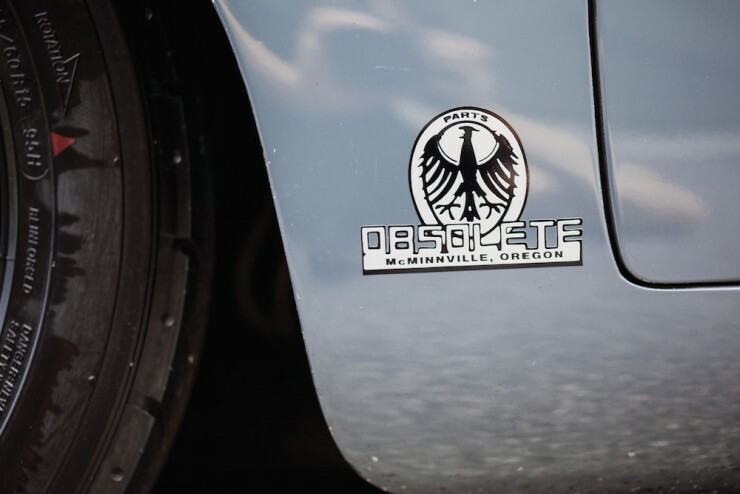 The distributor and coil are by Bosch; the generator has been modified for racing and the Porsche has a Hella master shut-off switch mounted on the left-front fender. The oil system has been modified for full-flow and utilizes Aeroquip AN10 fittings and hose. An Oberb Model 600 filter with cleanable screen filter and Mocal oil temperature thermostat are mounted under the left-rear fender. 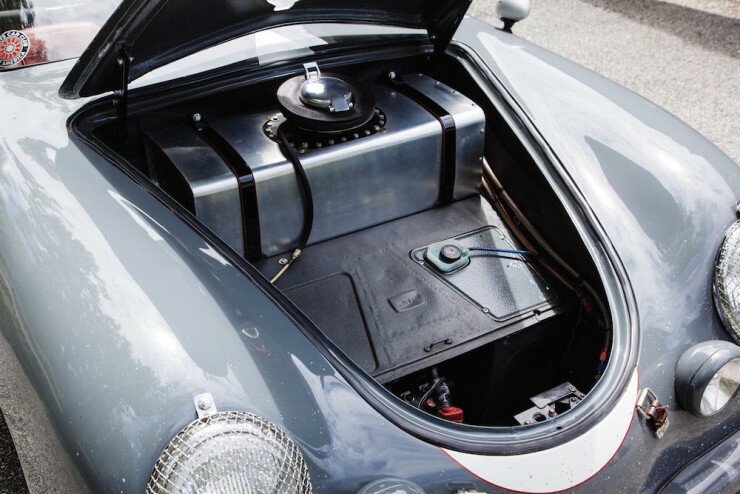 The fuel system features a Harwood U.S. eight-gallon foam-filled fuel cell that is mounted in the trunk and has the associated manual fuel shut-off valve under the dash, Aeroquip hardware and Solex carburetion. The body features all-steel panels and the factory bumpers have custom cooling integrated into the front. All interior trim, except for the door trim panels, has been removed and a Speedster tonneau cover has been fitted. All undercoating was removed and a rollcage was fabricated into the car. 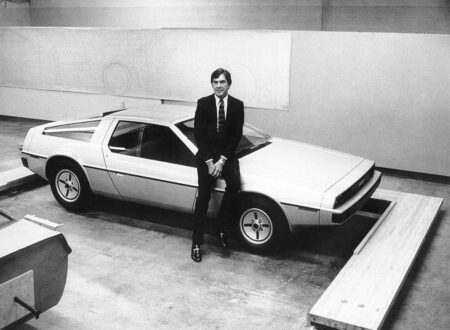 It is welded and bolted with an underdash hoop and door side protection tubes. 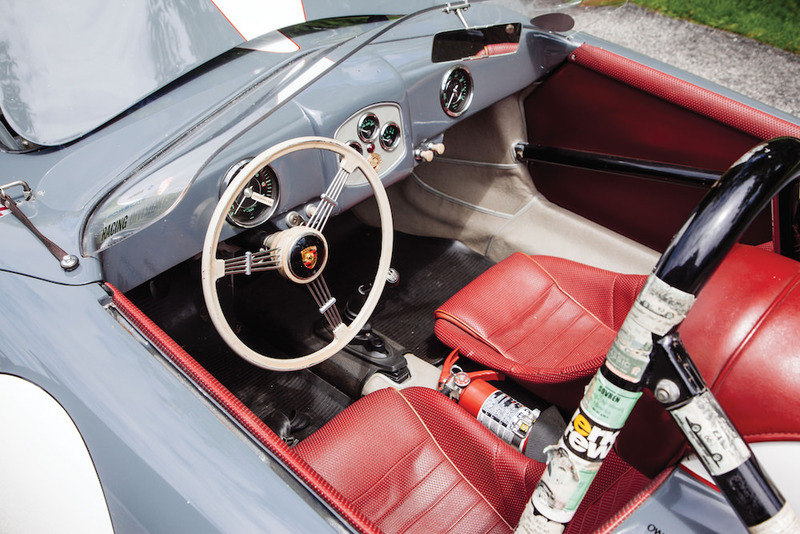 The Porsche has been finished in custom gray paint by Glasurit and the interior is presented in gray and red with custom GT-style vinyl carpet in the cockpit and trunk area. A rechargeable fire system is also onboard. The front and rear suspension systems have also received this same type of attention to best maximize the cars performance potential by creating a stable platform. 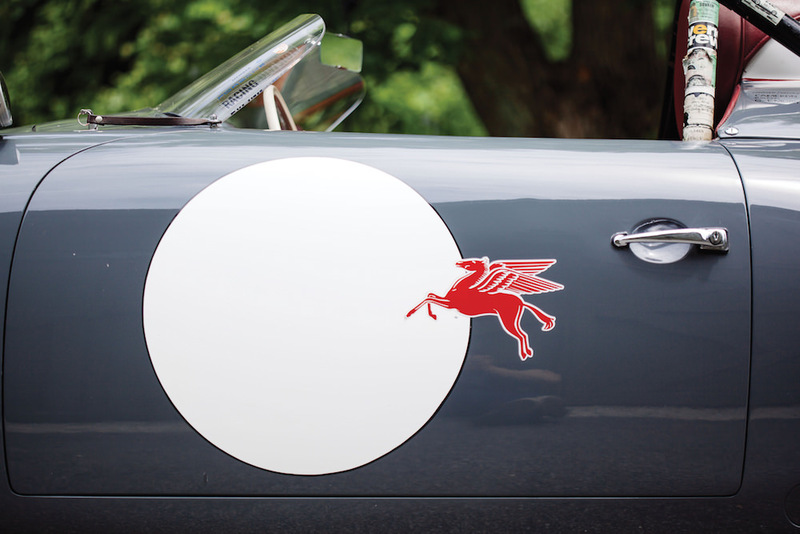 The braking also plays a key role and 356 rotors are on all four corners, with the fronts making use of 912 calipers. 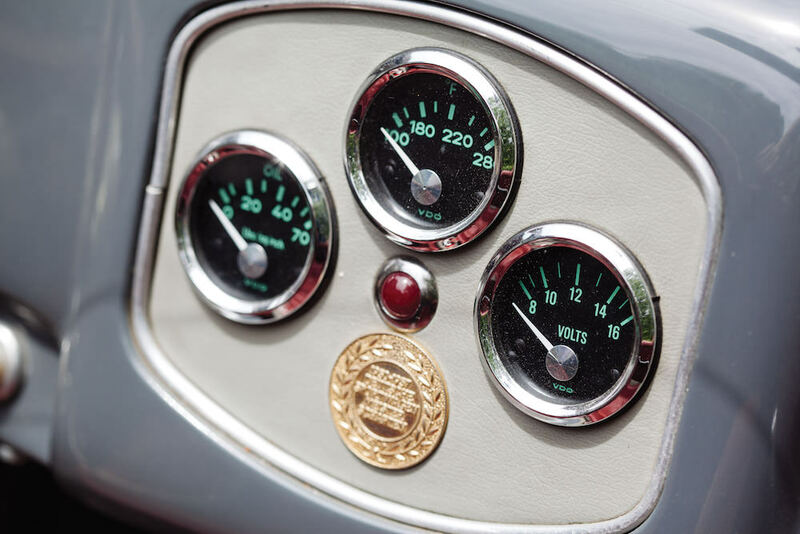 The instrumentation features an 8,000-rpm tachometer with VDO oil pressure and temperature gauges, oil pressure warning light on the dash, plus an original-type speedometer and gauge cluster installed for cosmetic purposes. A factory GT driving seat and Spider passenger seat are in place with a padded vinyl cover and five-point Willans competition-style seatbelt system included. 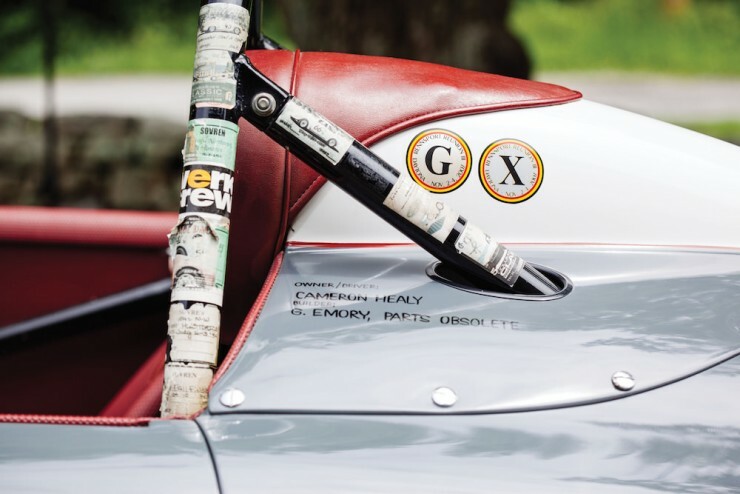 The car is reported to come on a U.S. title and with a detailed book with original drawings by Gary Emory on this particular build. 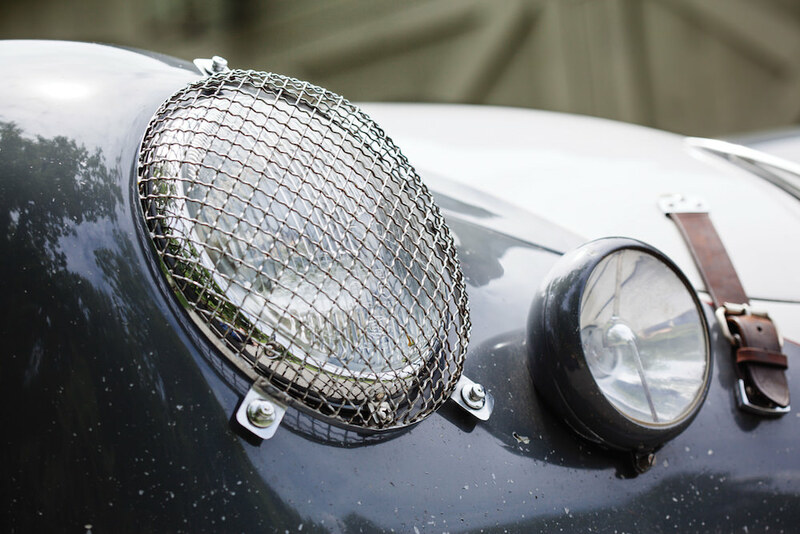 When looking the Porsche over, it is obvious that it shows the level of craftsmanship and detail involved with an Emory build. 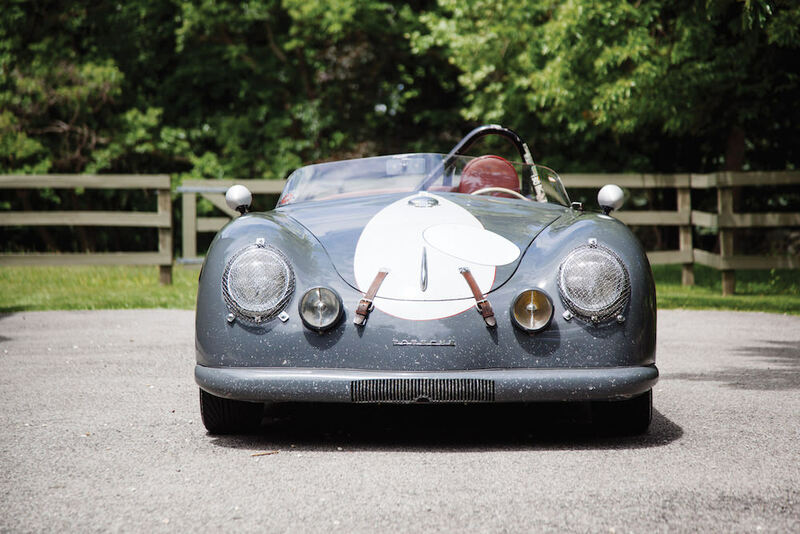 This is an exciting machine that will possibly make you question why should you merely attend the Rennsport Reunion when you can participate with this uncommon Porsche? 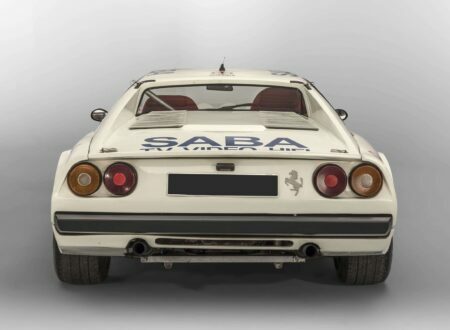 We are happy to offer this car to the next rebellious driver who is willing to take this Outlaw on the run. Please contact your attending Auctions America Specialist for a complete listing of the mechanical components and modifications applied to this eye-catching Porsche 356.